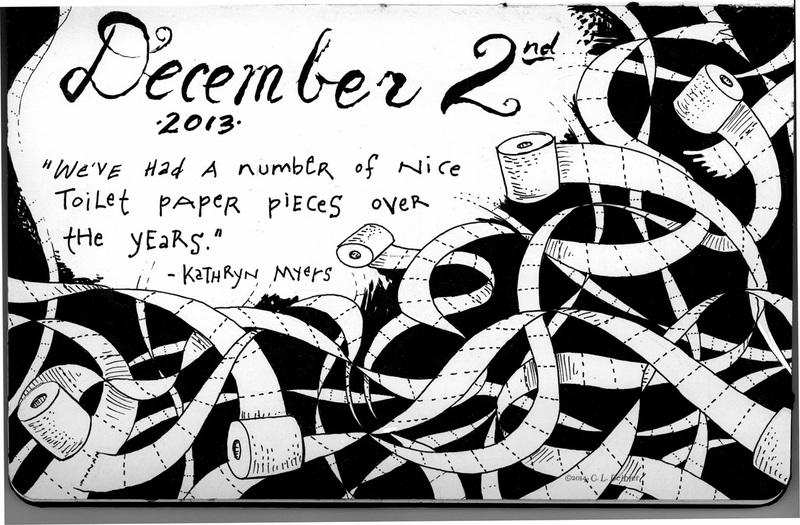 Toilet Paper, Utilitarian Product or Artistic Medium? 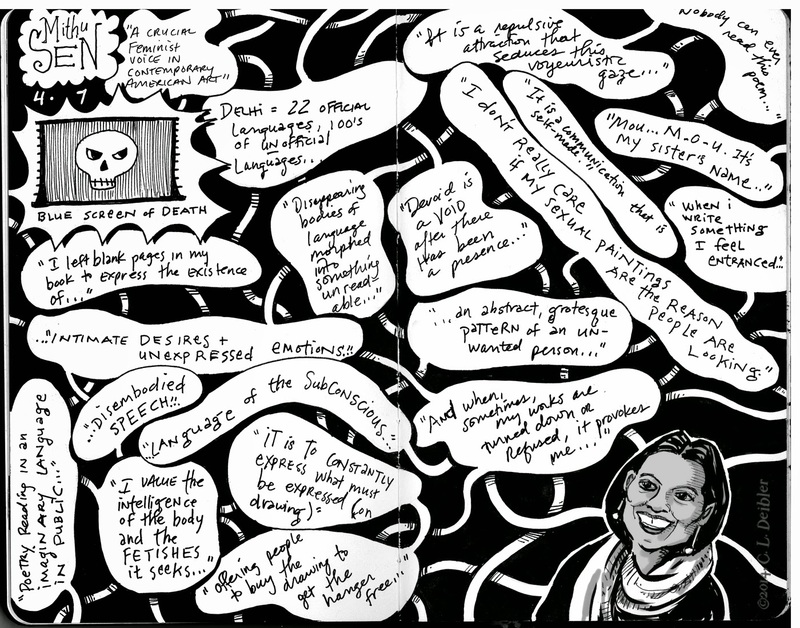 Not long ago Mithu Sen, contemporary artist, visited us and offered this terrific lecture. Though there were some A/V problems, initially, it all worked out in the end. She was erudite, funny, smart, and showed amazing work. Plus, her visit prompted my colleague, Kathryn Myers, to invite us all over for dinner. Which is great, because Kathryn is an excellent cook. We took that opportunity to introduce Mithu to marshmallow peeps. Someone had to. Betty Lou Starnes, art historian, serves up some peep goodness. Mithu Sen chooses pink. 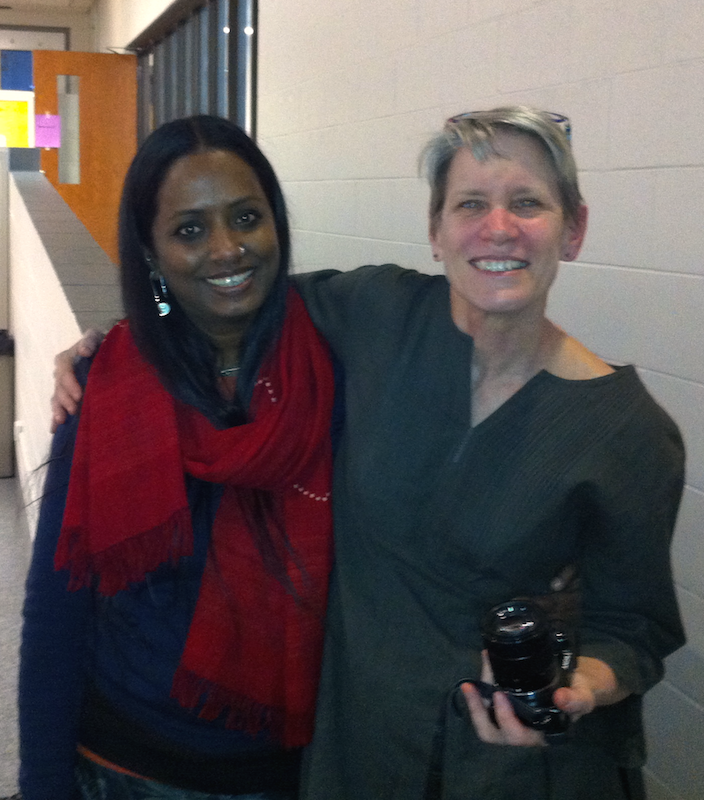 Mithu Sen and Kathryn Myers, post-talk. All's well that ends well. 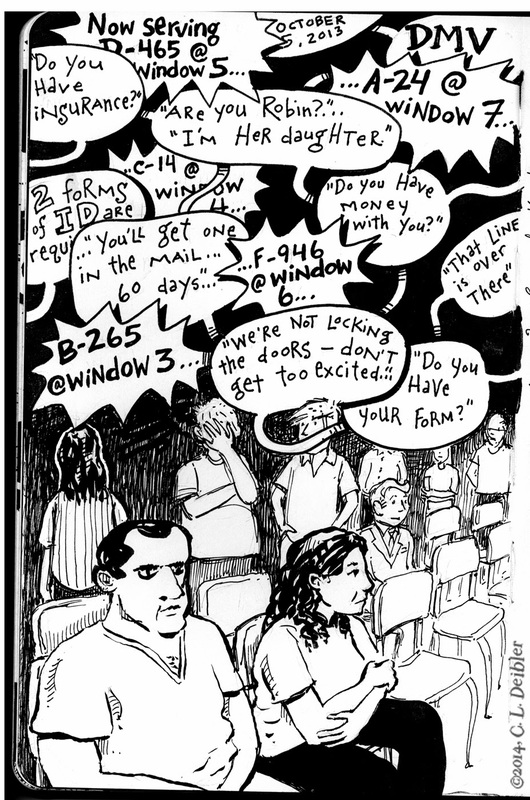 Revisiting some past sketchbooks yielded this image. It makes me weep. And grit my teeth. (Not unlike that moment in which I discover that the DSW Shoe Outlet coupon I've been hoarding has expired.) On this particular morning the line to be admitted to the interior space of the DMV actually wound around the exterior of the building. We were let inside in waves. Once admitted, the inner sanctum yielded a vast wasteland of thinly padded chairs, cranky patrons, and crankier employees. Good times!